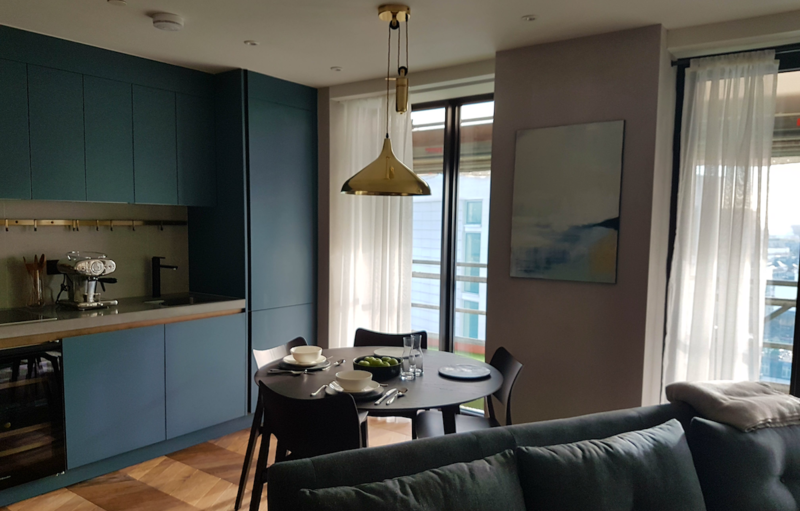 The Show Flat in the 1960’s built, multi-storey office tower block on Parker Street in Covent Garden has opened for viewings. The structure of Parker Tower is being extensively remodelled to accommodate the change from 1960’s office use to 21st Century residential use, including the addition of three extra floors. Moxley Architects are working with Legendre UK Ltd, the UK arm of Brittany based contractor Groupe Legendre, who were appointed by BNP Paribas as main contractor for the works.